Make the most of your summer holiday in Sardinia with our great family holiday deals. We're offering free child place holidays at selected hotels and a superb range of child discounts at a selection of great hotels! HUGE savings for children at our hotels! 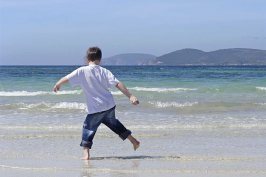 We have a range of superb child-friendly self-catering accommodation waiting to be booked for your 2019 family holiday to Sardinia. Look out for some of our great discounts by visiting our accommodation or Villa Holidays page. These offers are subject to availability and cannot be combined with any other offer. The Hotel discounts apply to the accommodation element of a package or hotel only prices and are valid on selected room types.